Ladies and gentlemen, it’s that time of year again. 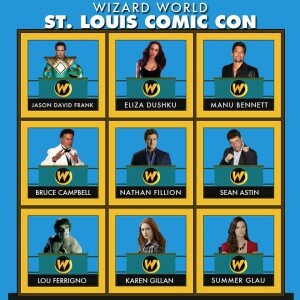 The sun is shining, the grass is growing, and Wizard World is making it’s return to St. Louis. 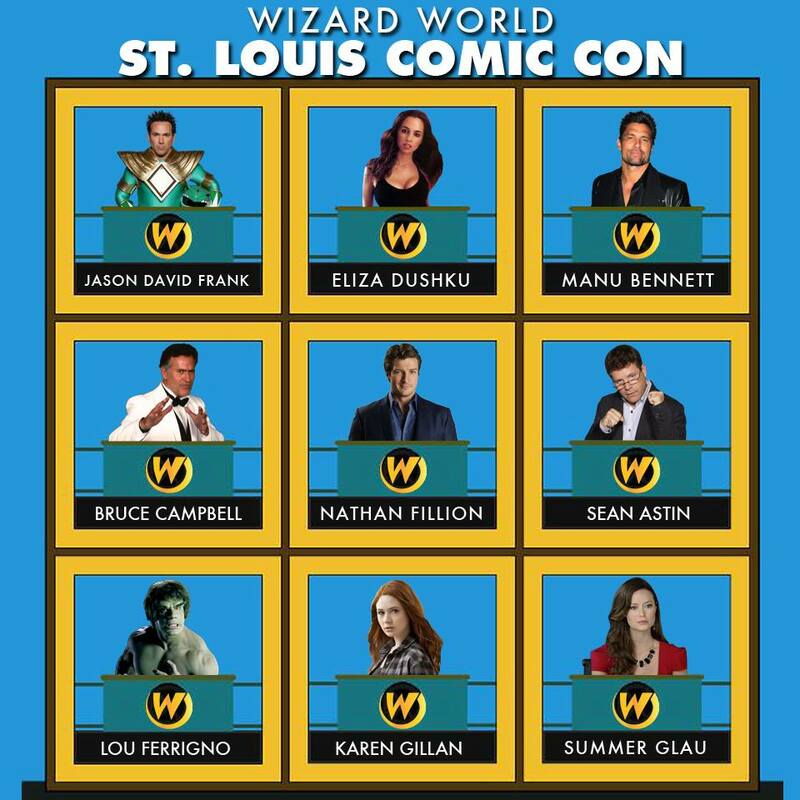 That’s right fanboys and fangirls, Wizard World St. Louis is returning to the Gateway city on April 4-6 at the America’s Center. With the amazing turnout from last year, Wizard World decided to make St. Louis a regular stop on their convention circuit. Last we were treated with guests Laurie Holden (The Walking Dead), Dean Cain (Lois & Clark: The New Adventures of Superman), and Stan “The Man” Lee. This year will also feature a plethora of comic book and pop culture guests for you to see and meet – along with some con exclusives and great panels for you to enjoy. As great as last years event was, this year is shaping up to be even better. Making their way to St. Louis this year will be superstar artists Greg Capullo (Batman, Spawn, and Haunt), Salvador Larroca (Invincible Iron Man), Eisner Award Hall of Famer Neal Adams(Batman & Green Lantern), and Ethan Van Sciver (Green Lantern: Rebirth & Flash: Rebirth). Those are just a few of the heavy hitters coming this year. Other amazing talent include David Mack (Daredevil & Kabuki), Carlo Pagulayan (Incredible Hulk), Arthur Suydam (Marvel Zombies & Army of Darkness), James O’Barr (the creator of The Crow), and Mike Grell (Green Arrow & Warlord). This however wouldn’t be a St. Louis Comic Con if we didn’t have some home grown superstars of our own now would it? Also making appearances this year will be St. Louis’s own Cullen Bunn (Wolverine, Magento & the upcoming Sinestro), Chris Samnee (Daredevil, The Rocketeer, and Thor: The Mighty Avenger) Brian Hurtt (The Sixth Gun), and Matt Kindt (Justice League of America & Mind MGT). 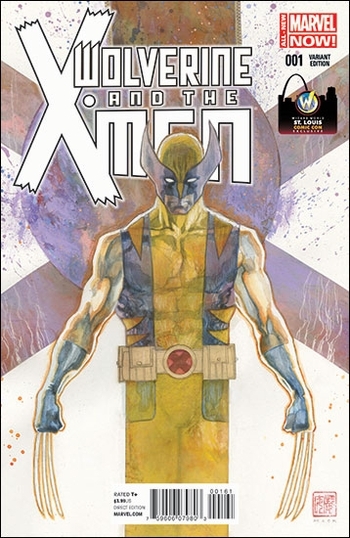 David Mack also drew the Wizard World St. Louis exclusive variant cover of Wolverine and the X-Men #1. It will be given the first 3,000 VIP attendees at the show. There will also be a black & White sketch variant. That issue will be limited to 2,500 copies, and will be available at the Wizard Wold store on the convention floor. Wolverine and the X-Men #1 St. Louis Comic Con Exclusive Variant Cover by David Mack. Limited Edition of 3,000 FREE to VIP attendees. Holy celebrities Batman! Adam West and Burt Ward! This announcement is for all you Batman fans. This year, The Dark Knight is celebrating his 75th anniversary. And at St. Louis Comic Con, you will be able to meet the original Dynamic Duo themselves: Batman & Robin! Adam West and Burt Ward will be here, and are available for photos and autographs. And that’s not all! Making her very first convention appearance, we are proud to welcome Athena Finger, the only grandchild of Bill Finger, the uncredited co-creator of Batman and almost all of the “Bat” supporting cast. I’m sure you’re telling yourself: “Joe. I’m not a fan of these so called funny books, but I do love pop culture. Is there anything for me?” Fear not dear reader, there is. If the comic guests don’t do it for you – listen up you primitive screw-heads! 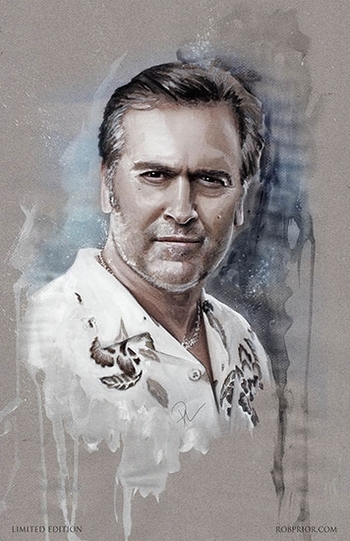 Come to meet your favorite cult hero, Ash himself: Bruce Campbell! That’s right my friends, Bruce Campbell will be at Wizard World. This years show is shaping up to be even better than last year. If you haven’t picked up your tickets yet, you can head over to the official Wizard World website. There you can pick up tickets for the show, find out how to get autographs and picture with your favorite celebrities, and a full list of everyone that will be at the con. Wizard World St. Louis Comic Con will take place April 4-6, 2014. Click here for tickets. Like them on Facebook, follow them on Twitter.